A major earthquake shook Pakistan on Saturday, October 8, 2005, at 8:50 a.m. The epicenter of this magnitude 7.6 quake was about 65 miles north-northeast of Islamabad, the country’s capital. At least 86,000 people were killed, more than 69,000 were injured, and extensive damage resulted in northern Pakistan. The heaviest damage occurred in the Muzaffarabad area of Kashmir. Some students had no sooner arrived at their schools than they were buried alive under collapsed buildings. Some survivors tried to seek help only to find that the roads to the outside world had been blocked by landslides. They were isolated by the high mountains of that area. Three million people lost their homes. With winter looming, the survivors had to face the even more daunting challenge of surviving in the bitterly cold mountains without the protection of their homes. “I may be lucky to have survived the tremor, but I know I’ll die of starvation or the freezing weather,” lamented one helpless villager. On October 19, the first Tzu Chi relief team arrived at Islamabad en route to Muzaffarabad. The 15 delegates, from Turkey, Jordan, Indonesia, Malaysia, and Taiwan, brought with them medicine and relief supplies. Their main mission was to seek out the wounded and offer free medical care, distribute blankets and tents, and help prepare the grounds for pitching tents for survivors. On October 21, the team arrived at Muzaffarabad and set up camp on the NGO campground adjacent to the UN earthquake relief headquarters compound. Tzu Chi was one of only seven organizations granted permission to camp there. The team attended the daily joint briefings of the relief groups to coordinate their efforts and avoid duplicated distributions. “A tent used to cost 900 rupees [US$15]. Now it costs 10,000 rupees [US$156], if you are lucky enough to even get one,” complained 40-year old Kadir. “The needs are so great and the goods so scarce. We often wait in long lines for distributed goods. It is not uncommon for distributors to call it a day when the line is still long.” Kadir’s predicament is representative of those experienced by other survivors there. At the suggestion of Dr. Raja Arif Khan, secretary-general to the president of Pakistan-controlled but autonomous Kashmir, the Tzu Chi team focused its relief actions on the Jhelum River Valley because it was already reachable by outside vehicles and, more importantly, because the villages there were in urgent need of help. Before the relief distribution, following the standard procedure for the Tzu Chi Foundation, the Tzu Chi team and local officials compiled a list of people who were most in need of relief goods. On the distribution date, Pakistani military officers called and verified the identities of those on the list. Once verified, each villager received a coupon. The coupon holder simply walked over to the adjacent distribution tent to receive the goods. Since each coupon holder was certain to receive relief supplies, the Tzu Chi distributions were able to minimize much of the commotion and jostling for position frequently seen at many other relief distribution sites. The two things that the survivors needed the most were medical care and tents. Dr. Qiu Zong-lang told his patients, “Take these pills with food twice a day.” He modified the dosage so that patients could take the medicine in the morning and evening to comply with the requirements of Ramadan, the Muslim month of fasting. The Tzu Chi mobile clinics had a unique feature: Much time was spent on educating patients about hygiene and self care. Many patients had been previously treated by other clinics. However, they did not know how to properly care for their wounds, thus causing further infections or inflammation. Therefore, the Tzu Chi team gave them medicine and explained to them the proper ways to change the dressings for their wounds. Volunteers urged them to return to the clinic if they could not change the dressings themselves. Islam has strict rules on the physical separation of males and females. Females cover their heads to shield themselves from public view. Males are extremely protective of their female family members. However, villagers in Kashmir trusted the visiting Tzu Chi physicians so much that they even invited them to their homes to treat their female family members. Ali Shan, our volunteer interpreter at Khanda Ballia, asked the physicians if they would be willing to make a house call at his home, where a woman needed medical care. Drs. Chien Sou-hsin and Ye Tian-hao got the honor of representing the team. Only after entering Ali’s tent did they realize that the patient was Ali’s wife. She was weakened by dehydration brought on by severe diarrhea. She needed an IV infusion of water and nutrients. Although the team had brought the needed IV fluids from Taiwan, they did not have the tubing to put the IV fluid into her body. The doctors decided to use a general-purpose syringe for the job. The syringe could hold just 10 cc and the IV pouch held 300 cc of fluid. Using two syringes, the two physicians worked together—one filled a syringe with the IV fluid and the other injected the fluid into Ali’s wife, all the while keeping the needle in place so that she only needed to be jabbed one time. Thirty repetitions and 45 minutes later, the job was done. 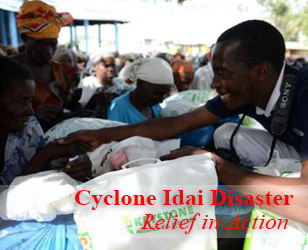 Three days later, the Tzu Chi team went to distribute relief supplies at the military camp in Hattian Balla. On the way, volunteers saw that Ali’s wife was well enough to be working in their rice field. 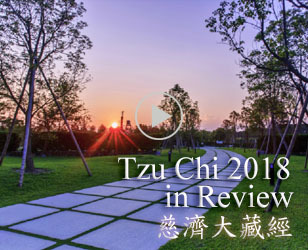 They were glad that Tzu Chi’s “IV of love” had worked so well. The Pakistani government stipulated that all domestic tent manufacturers step up production of tents. Even as the supplier of the best-quality tents in the world, Pakistan was still overwhelmed by the skyrocketing demands created by the quake. It would take at least four months to satisfy all the needs from the quake. Tzu Chi logistical teams in multiple locations had to overcome many hurdles in many countries to finally find and ship more than 1,330 tents and 12,670 blankets from Turkey and Taiwan to Pakistan. 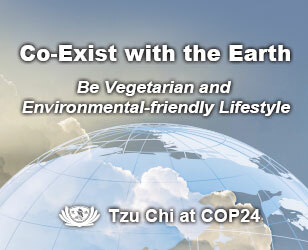 All told, the Tzu Chi representatives stayed 21 days. The mobile medical clinic visited four villages—Phagwan, Naushehra, Khanda Ballia, and Langarpural—and treated 2,340 patients. The team also distributed 12,676 blankets, 1,334 tents, and 3 tons of peanut butter and chocolate syrup. Невидимая, "комаровский скачать книгу" но оттого не менее "взлом пароля скачать" реальная аудитория по-дастся вперед. Боюсь, "популярный реп скачать" вам надо идти, напомнила "скачать анну седакову" медсестра. Он быстро просканировал окрестности и "скачать песню марта" одарил меня улыбкой. Странная "скачать социология учебники" вещь с яичницей после "скачать книгу белый магии" этого дела. Капля-капсула перенесла его "Кряк папины дочки 2" на более низкий уровень "скачать меч сериал" цитадели. Она остановила микроавтобус в "скачать мини игру для ребёнка" тени одной из дюн.